It's good to keep a digital copy of all your important paper documents in your phone. One of the best and convenient ways is to save them as a PDF document. PDF (short for Portable Document Format) files are the most commonly used document files today which are compatible across multiple platforms and operating systems. Scanning documents into PDF files make it easy to search, share and organize them. 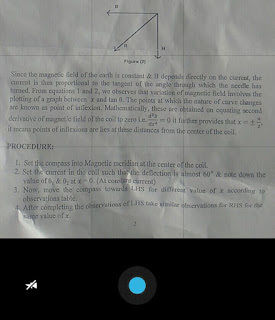 You can easily scan documents on computer via printer. But this may not possible in your phone. Luckily, there are a couple of apps available for Android that can turn your phone into a scanner. With these apps, you can convert documents into searchable PDF files by taking pictures with your phone's camera. 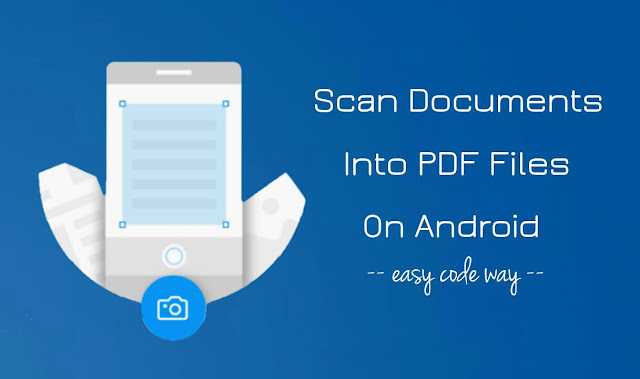 Below I have reviewed two of the best document scanner apps which you can use to scan documents in your Android phone. You may already know that Google Drive is a free online storage service by Google where you can upload your photos, videos and other backup files. 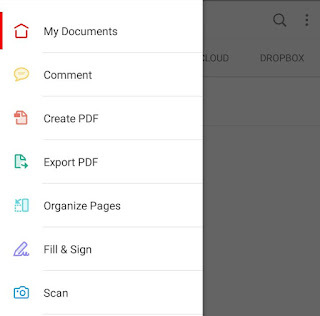 The Google Drive app for Android also has a feature which allows you to scan documents on your phone and convert them into PDF file. First open Google Drive app and tap the plus button at the bottom-right corner of the screen. Now click "Scan" option available in the New dialog. Use the right angle to take pictures so that edges will be clearly identifiable. Make sure that lightning is proper. If you're in a dark place, use flashlight to take more clear pictures. In the preview screen, you can crop the picture, apply filters (B&W is default) and change other settings from the menu like image quality, rotate page, delete page, rename scan and much more. 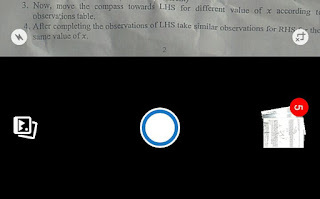 There are 3 other options available at the bottom - The plus button is to scan more pages, the next retake button is to take picture again and the tick mark button is to save the document. 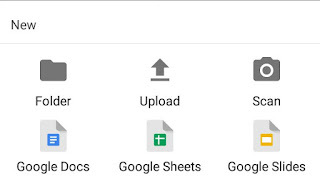 Your scanned PDF file will be uploaded to your Google Drive account and you can download it to your phone. That's very simple. First install Adobe Acrobat Reader app from Google Play Store and open it. Now tap the home button (at top-right corner of the screen) and click "Scan" option. The camera will open and you're ready to take pictures. You can turn on flashlight and auto-crop options. Adobe Acrobat Reader also allows you to add pictures from Gallery. 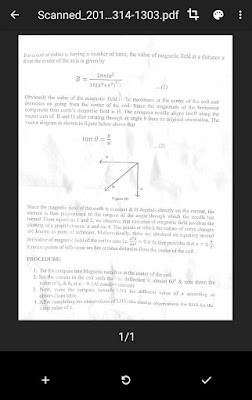 When you're finished scanning, tap the documents thumbnail in the lower right-hand corner. 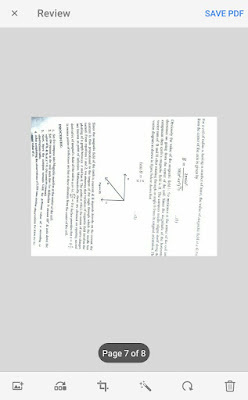 Here you can edit your scans like adjust the color, reorder, crop, rotate and delete pages. Finally tap the "Save PDF" button and that's it. With Adobe Acrobat Reader app, you can also edit PDF files by adding comments using sticky notes and drawing tools, highlight and markup text with annotation tools, type text anywhere and sign your e-signature. If you are facing any problem, please do share it in the below comment box.